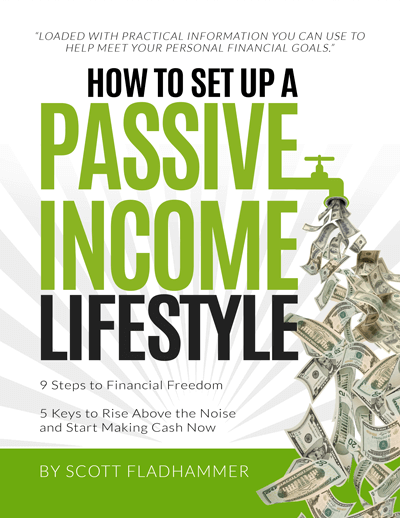 Learn how easy and profitable income property can be using our proven 5 pillars. We put the best to the test and found the software that’s easy to use with pricing that’s easy to justify. Plus offer to get must-have income property paperwork for free. Have you ever thought “There needs to be an easier way to manage property”. Excel is limited and wonky. Pen and paper work but you can’t automate processes or really understand where you are in your business and what needs to get done, what’s been completed. 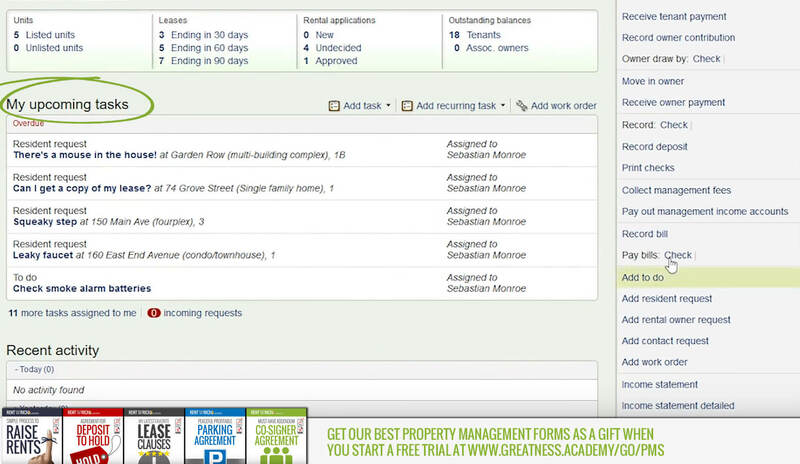 After a few rental properties, most will start to realize how much time is spend tracking stuff in spreadsheets. 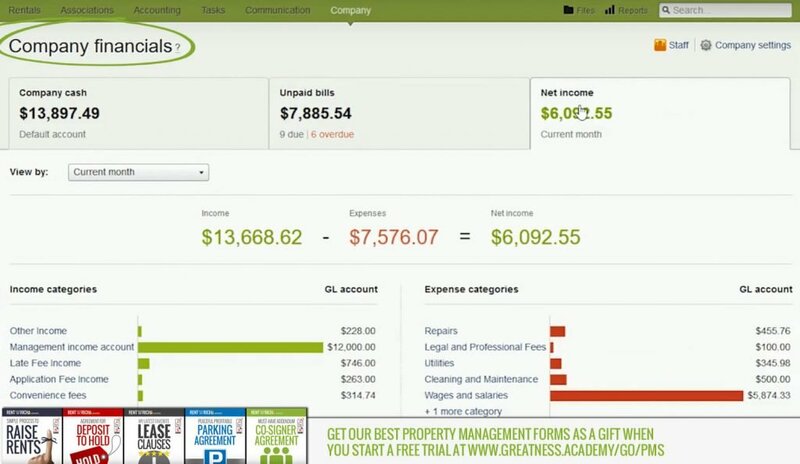 A few more properties (or having income property while holding down another job) and things become disorganized and find spreadsheets just aren’t enough. Luckily today you can set up a complete property management business in just a few days using Property Management software that allows you to get things done faster from your laptop, iPad, or mobile phone. We put the top 2019 Property Management software applications through the tests and found a hands-down winner. The one we like: Buildium. 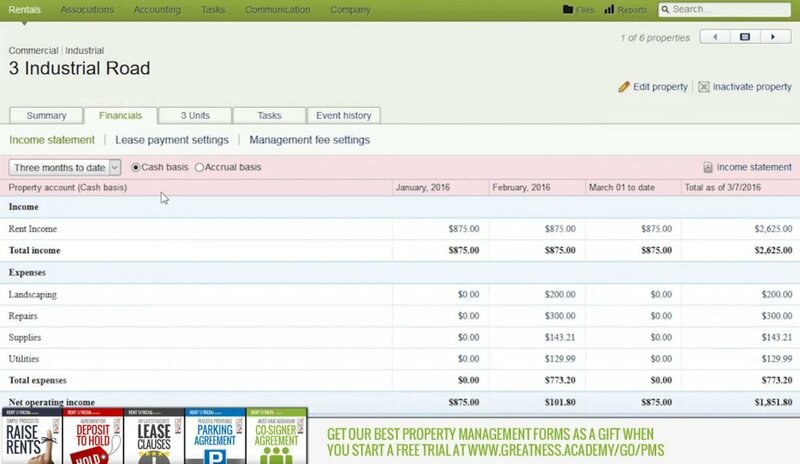 Buildium is a cloud-based property management solution. 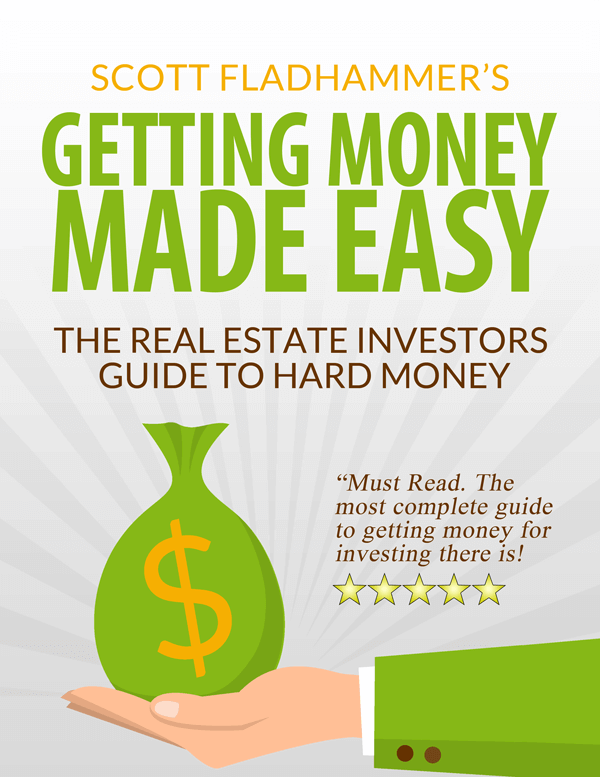 Beginners: If you’re managing a handful of property you can do it better and be more professional easier and more profitable. 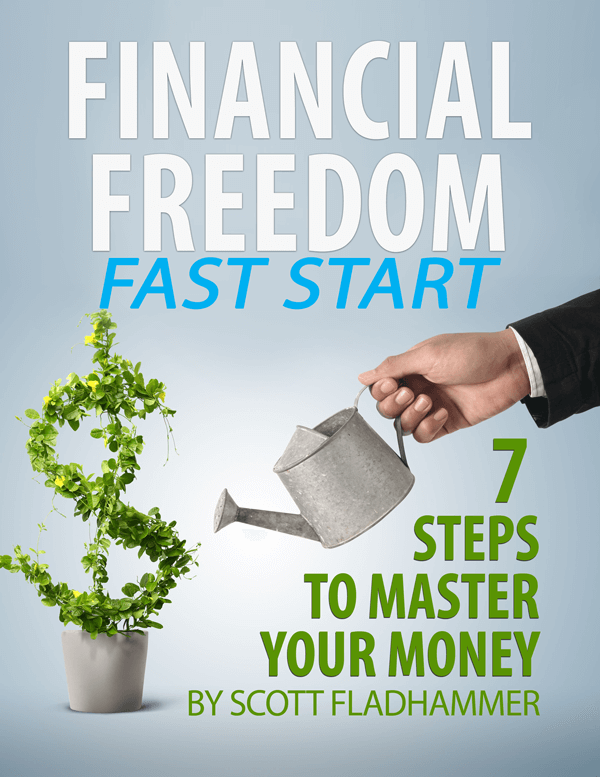 Easy of use and low cost make this software great for part-timers or beginners. Advanced: It might be tough for some people to kind of change their ways they’ve been doing things for 20, 30, 40 years, but the software is truly designed to help and to really streamline your processes and be like a virtual assistant. 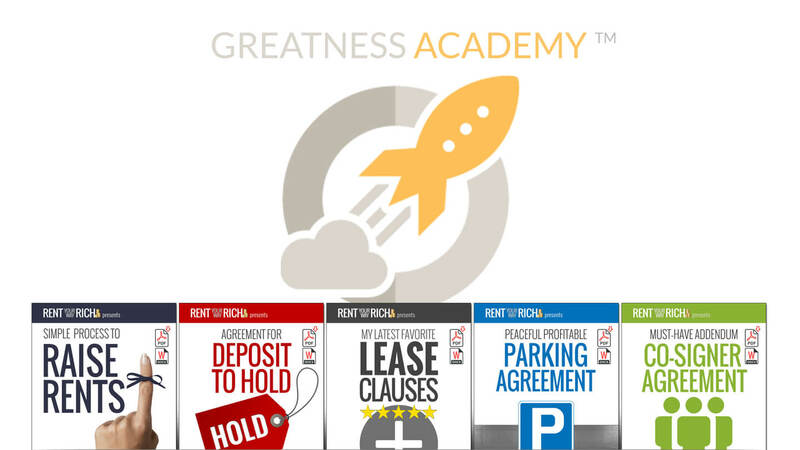 If you’re managing hundreds of property or an association you can now do it much easier, faster and more profitable with features typically found in much more expensive software. The paperwork of Property Management is one of the hardest things to organize and get done. Late fees, notes, repair requests, lease reminders, contractor invoices, … and the list goes on. Buildium keeps all of that in one place. Because Buildium is also a powerful maintenance management tool it can eliminate paperwork, improve response times, and automate tasks. 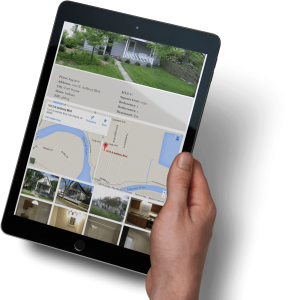 So now you can have your tenants go straight to a client portal that Buildium provides for all the paperwork and requests, even upload pictures of a problem. Buildium can automate a ton of the paperwork, reminders, and billing. Like your very own virtual assistant. Our residents, owners, and employees can submit work orders, and attach videos, documents, and images. We get status updates from our phone, tablet or desktop. Some property management maintenance tasks, like mowing the lawn, need to be performed regularly. Mark them as “recurring items” on your maintenance list to stay on top of them and keep vendors in the loop. Generate and view performance analytics, so work orders can be assigned to the most efficient vendors. 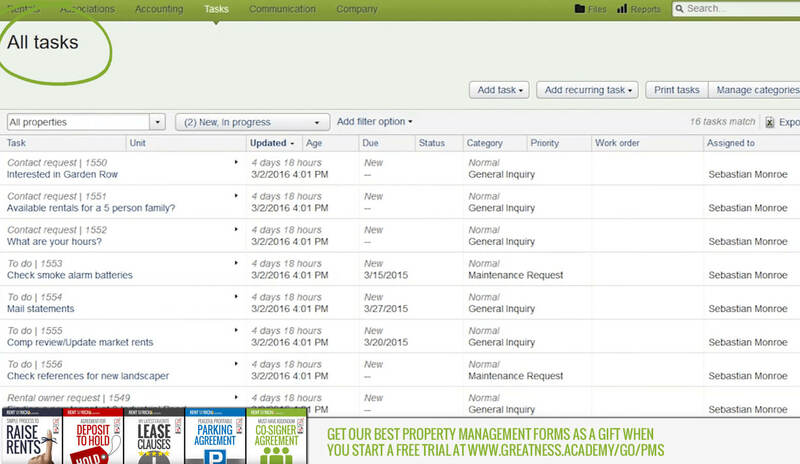 Maintenance tracking is fully integrated with rent roll and accounting. 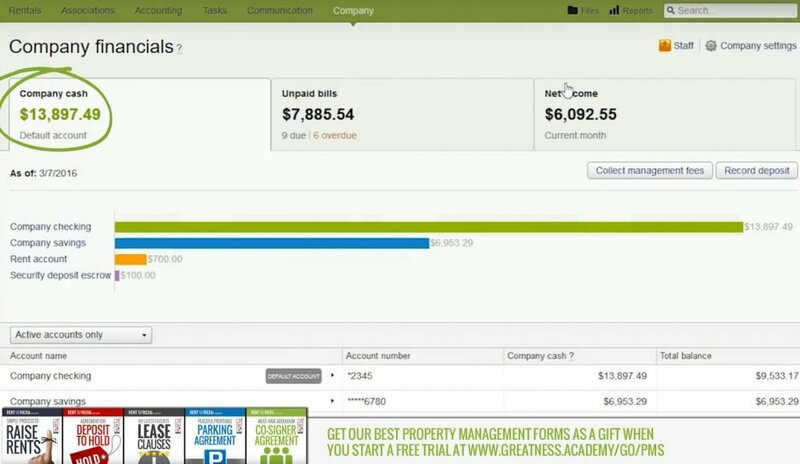 Vendor bills and expenses can be tracked and paid within the system, so you’ll never need to enter data twice. See how you can find and onboard new properties to your portfolio and qaulity tenants without investing more money to grow your staff by taking control of accounting, operations, leasing and more with the only property management software designed by property managers. THE VERDICT: Software that’s easy to use. Pricing that’s easy to justify. 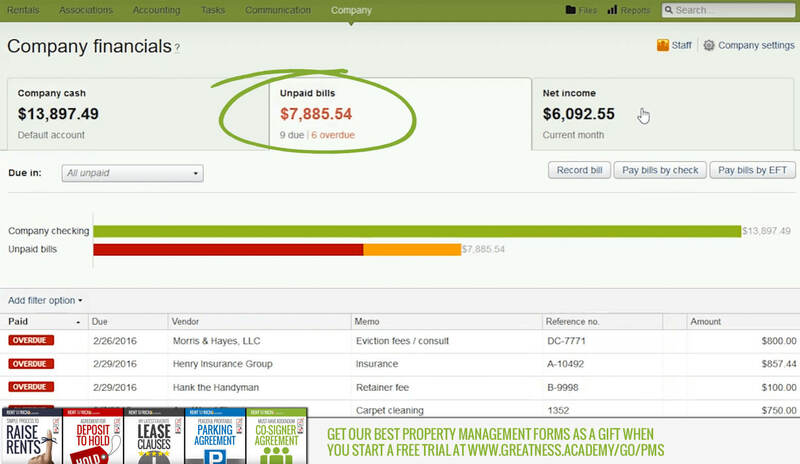 Whether you have a handful of property or hundreds, now it’s very doable to easily and professionally manage them all. It’s an end to end solution that includes accounting, property management, client portals and communications tools. It’s great for all sizes of businesses, and it really shines when you have 300 or more units. Whether you have a few property or 1500 here is a better way to manage property. Take a test drive of Buildium for free. When you do we’ll send you our Landlord Lifesaver Survival forms to protect you and safeguard your properties. Even if you don’t love it you’ll find what the characteristics a solid property management software should have. So you have nothing to lose. It takes just 30 seconds – no credit card required. After you sign up, simply contact us here to get your Landlord Survival Forms as a free bonus just for trying out Buildium. Greatness Academy © 2019 All rights reserved.